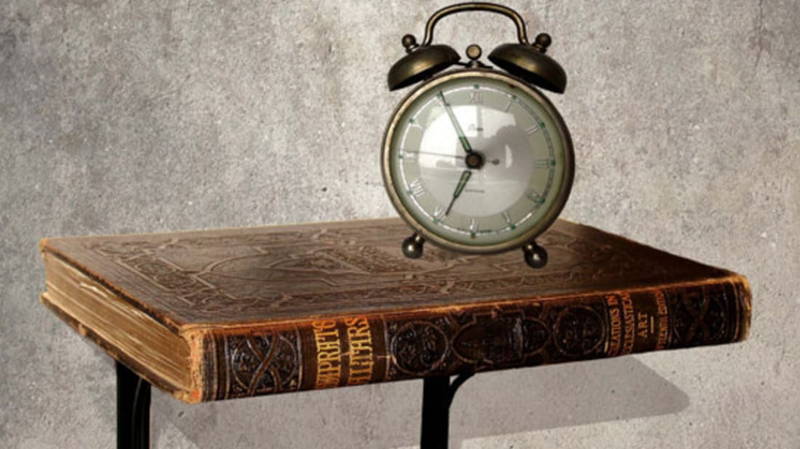 Some of these look more sculptural than cozy, but we’d be happy to have any of these genius bookish creations to furnish our apartment. 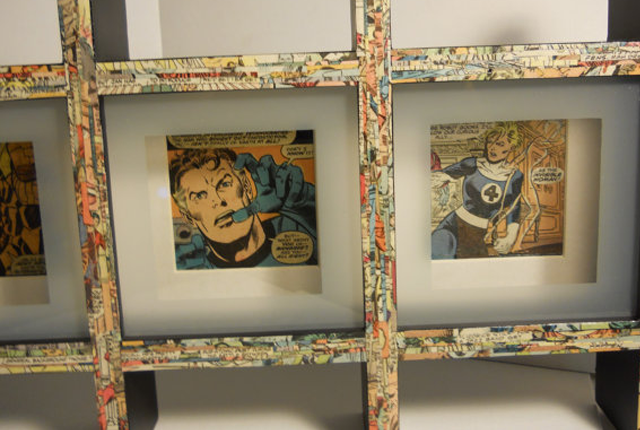 This shadowbox frame overlaid with comics is perfect for displaying ... comics. 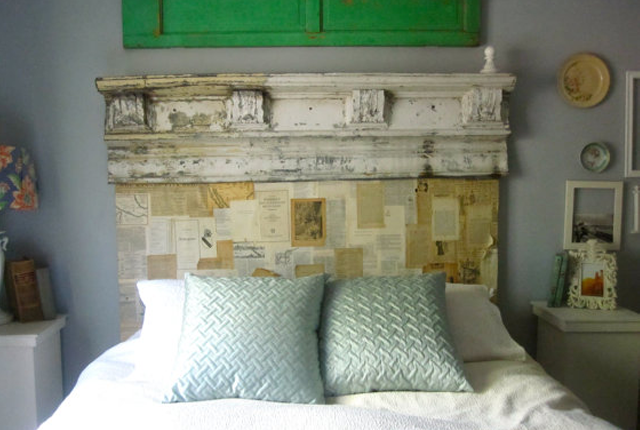 The headboard of this vintage bedframe has been decorated with the pages of old books. 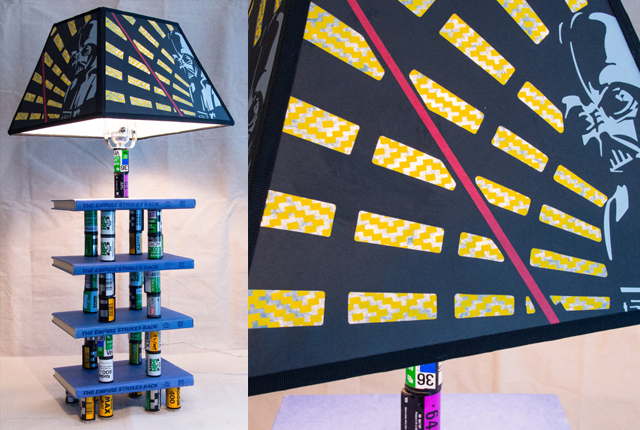 This lamp was made out of books and film cartridges. 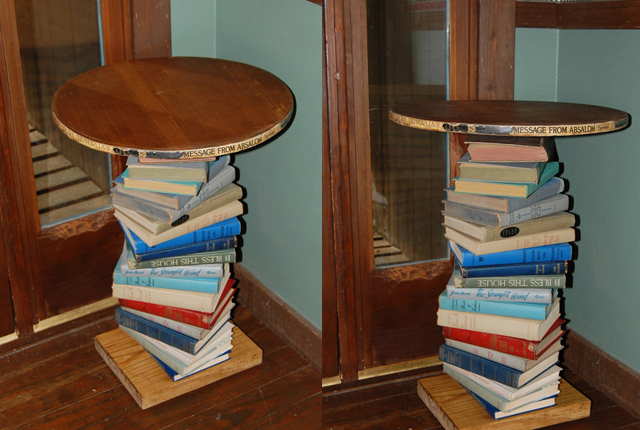 This side table looks like the perfect place to set your book when you’re done reading. 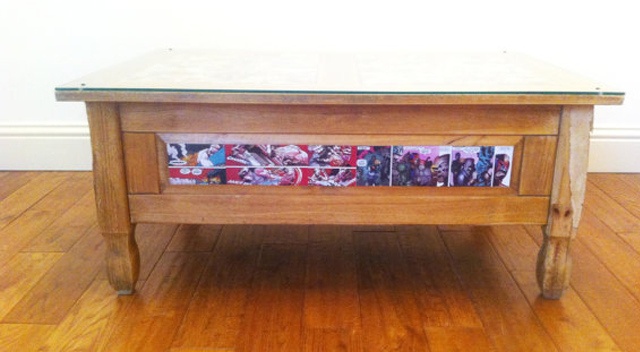 This chest of drawers has comic book pages applied to the the exterior with decoupage. 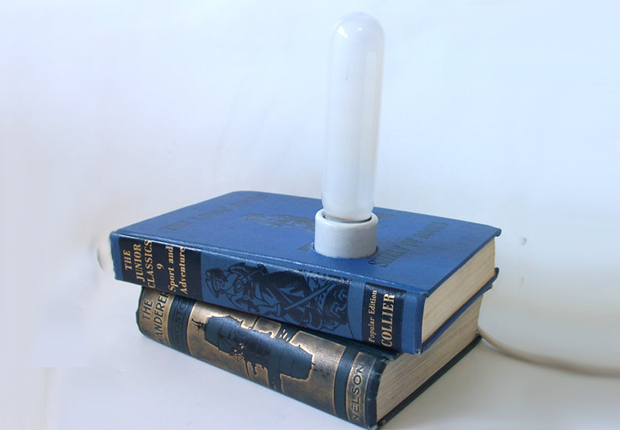 This would look great on top of a stack of books on your bedside table. 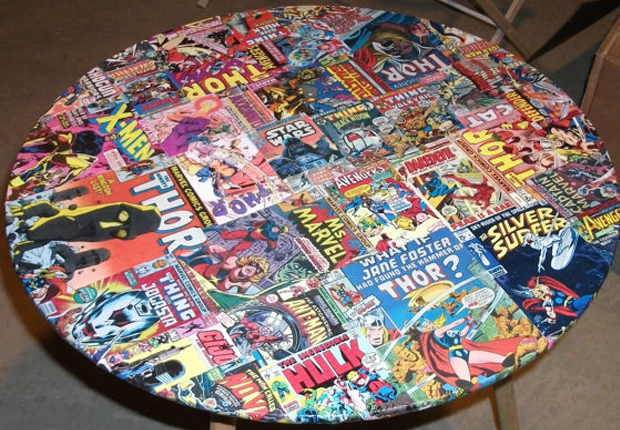 This coffee table is adorned with comic book covers. 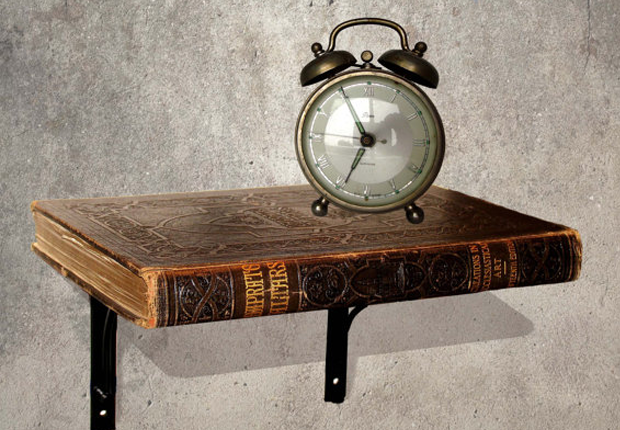 This quaint little shelf is perfect for the wall of your home library. 9. May I help you? 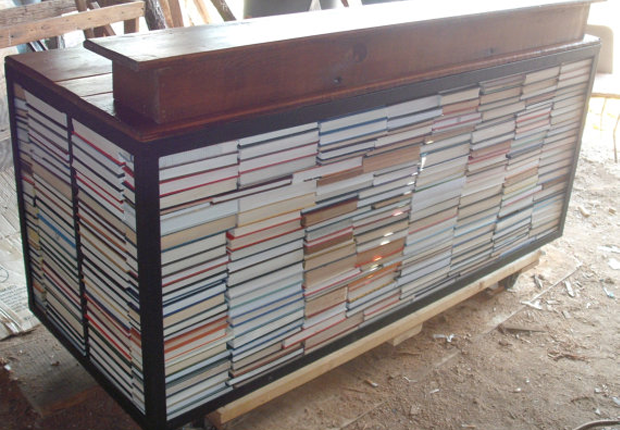 This bookish reception desk lends a certain gravitas to the average office. 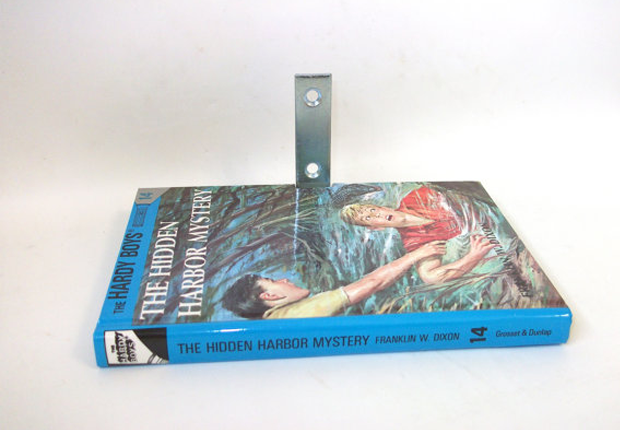 When stacked with books, this Hardy Boys wall shelf looks like it’s floating. 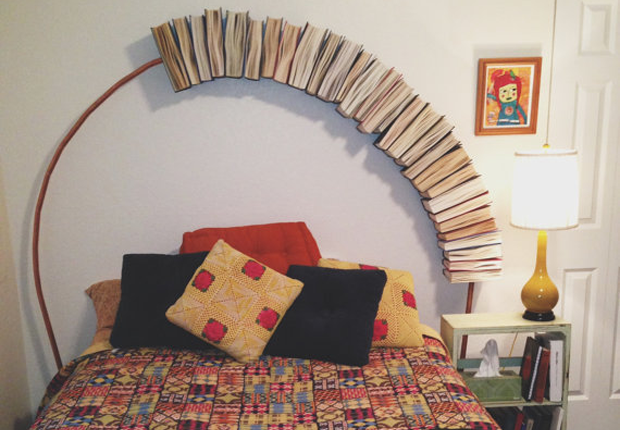 This whimsical headboard fits over a full sized bed. 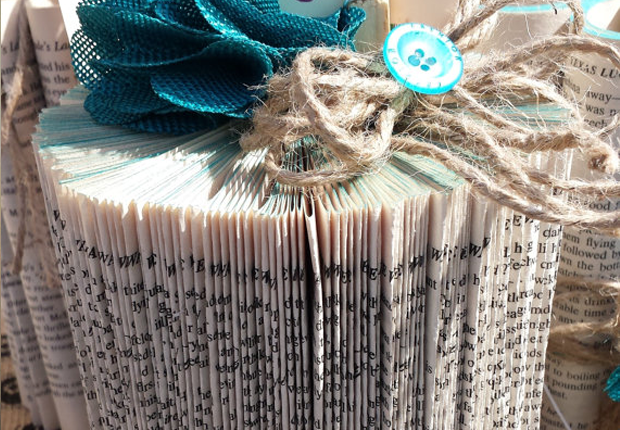 This book has been folded into a photo holder or recipe file. 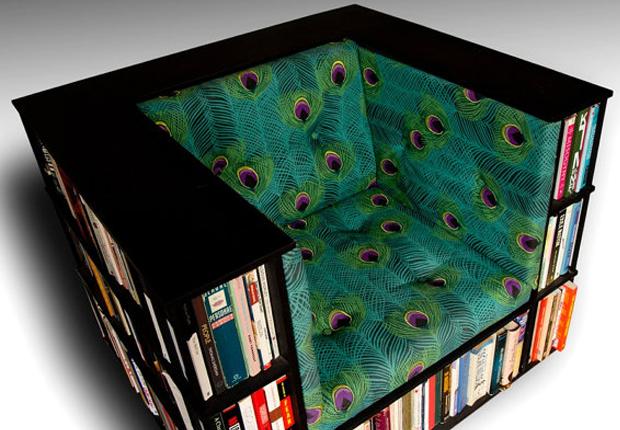 You can read for days in this armchair. 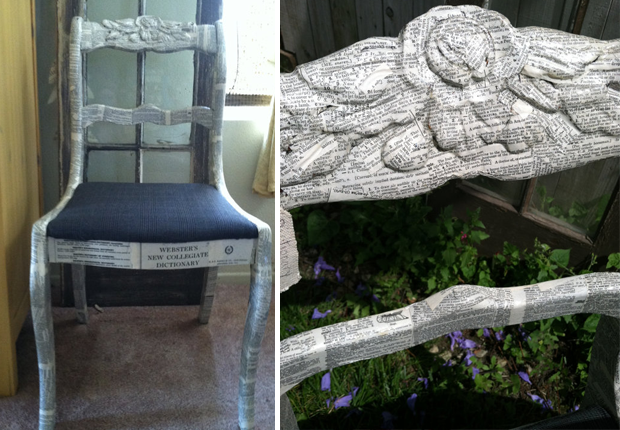 We’re pretty sure Webster never anticipated this dictionary chair. 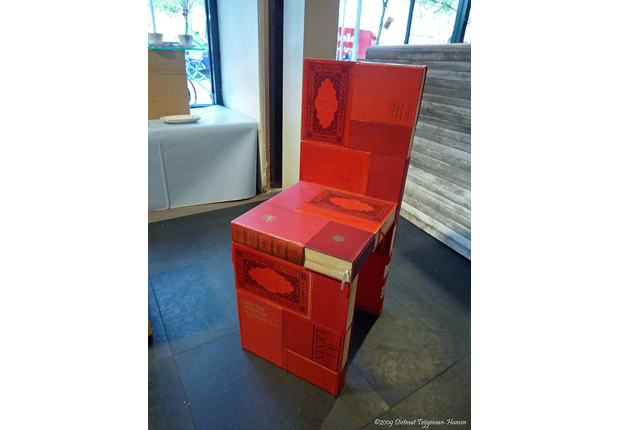 This red chair would make a great accent piece.